Iran's judicial authorities "continued to impose and carry out cruel, inhuman or degrading punishments that amounted to torture, including floggings, blindings and amputations. These were sometimes carried out in public." 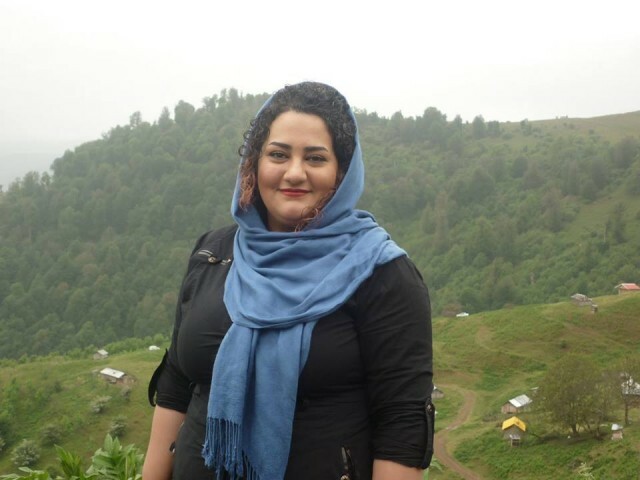 At least one woman, Fariba Khaleghi, remains under a sentence of death by stoning. — Amnesty International. What is worse, the vast majority of those put to death in Iran have not committed crimes that would be punished with that severity (or at all) almost anywhere else in the world, least of all in Europe, Israel, or 23 states (and the District of Columbia) in the USA. Even before their trials, individuals accused of anti-state convictions are mistreated, tortured, kept in solitary confinement for months on end, and denied access to their families and lawyers. "'Confessions' extracted under torture were used as evidence at trial. Judges often failed to deliver reasoned judgments and the judiciary did not make court judgments publicly available." — Amnesty International. As for the mullahs, they brook no criticism from any quarter and intend to keep Iran and its people under their iron grip forever, even if that means putting to death every dissident voice. At the end of December 2017, something almost without precedent happened in cities across Iran. It started in the largest shrine city of Mashhad, then moved to Kermanshah, which had not long before suffered a major earthquake in which some 600 people died and where survivors had been neglected by the state. After that, large-scale protests moved to Sari and Rasht in the north, the clerical city of Qom, then Hamadan, and by the December 29, Tehran itself. In the following days, people were on the streets across the country. Starting on the third day, protesters were challenged by massive turnouts of pro-regime marchers. Anti-government protests, which these were, had not been seen in this quantity since the brutally-crushed risings after the 2009 presidential elections. By January 2, at least 20 protesters had been killed and more than 450 arrested. It was reported on the same day that Iran's Chief Justice, Mousa Ghazanfarabadi, claimed that protesters might be considered "enemies of God", and executed. "accused unnamed foreign enemies of meddling in Iran's affairs, using money, weapons, politics and intelligence apparatuses 'to create problems for the Islamic system'. The clerical elite is congenitally incapable of admitting that native Iranians, chafing under their harsh rule, might have genuine reasons for civil unrest." President Hassan Rouhani, a fake "reformist", identified these foreign enemies as "the US, the regime occupying al-Quds [i.e. Israel] and their cronies". Complaints are, indeed, many, including condemnation of the regime's foreign policy, which led to the country spending billions of dollars on its aggressive foreign adventures; supporting the fighting in Yemen and Syria; bolstering Hezbollah in Lebanon and Syria; paying the Shi'i militias in Iraq; funding Hamas in Gaza, and, in general, financing and participating in terrorism worldwide. Why, these protesters asked, were these billions not being spent on Iran's own people? Despite modest growth in its economy since 2016, following sanctions relief, the country still suffers from inflation. Should President Trump's plan to re-impose some sanctions take effect in 2018, another economic downturn is likely. Inevitably, pro-regime demonstrators blame everything on the United States and Israel and carry placards calling for death for their supposed enemies. Loud as these protests are, they are highly unlikely to lead to real reform. Iranian citizens may have limited freedom to go onto their streets, chanting slogans, but they have no concerted or strong political opposition behind which to rally. Even with only limited freedoms, there is evidence of a strong political purpose: to free Iranian citizens from the dictatorship of the one-party state apparatus. One Persian-language tweet cited by the BBC comes from Tehran University, where protests have taken place. The writer addresses Ayatollah Khamenei insultingly by name, writing: "Sayyid Ali, be ashamed of yourself. Leave the country alone (mamlakat-u raha kon)". About 300 demonstrators gathered in Kermanshah after what [the quasi-official news agency] Fars said was a "call by the anti-revolution". They shouted "Political prisoners should be freed" and "Freedom or death", and some public property was destroyed. Fars did not name any opposition groups. There were no opposition groups present because there are no serious opposition groups. The reason for that is expressed in that call, "Political prisoners should be freed". Iran is choc-a-bloc with political dissidents who languish in its prisons. It is no secret that the Islamic regime, which has ruled Iran since 1979, has a well-deserved reputation as one of the world's greatest abusers of human rights. In its 2016-2017 report on Iran, Amnesty International records innumerable instances of gross legislative and functional domestic abuses of women, religious and ethnic minorities, foreign nationals and Iranians with dual nationality. Political prisoners, including prisoners of conscience, human rights defenders, and reformists have been imprisoned in large numbers, tortured, subjected to five-minute trials without visible evidence or even lawyers to plead their cases. Others have been held under house arrest for many years. "Judicial authorities continued to impose and carry out cruel, inhuman or degrading punishments that amounted to torture, including floggings, blindings and amputations. These were sometimes carried out in public." "The authorities continued to use the death penalty extensively, including against juvenile offenders. Hundreds of executions were carried out after unfair trials. Some executions were conducted in public". At least one woman, Fariba Khaleghi, remains under a sentence of death by stoning. Since January 2016, Iran has executed at least 230 people, that is at least one person a day on average. The number of executions has recently increased and Iran ranks first in the world, followed by China, when it comes to executions per capita. Iran executed approximately 1000 people in 2015. Given the size of Iran's population (81,588,534 as of January 1, 2018) compared to that of China (1,412,298,946), this is an astonishing statistic. What is worse, the vast majority of those put to death have not committed crimes that would be punished with that severity (or at all) almost anywhere else in the world, least of all in Europe, Israel, or 23 states (and the District of Columbia) in the USA. Every half an hour from 7.30am to 5pm, 33 people were lifted on three forklift trucks to six cranes, each of which had five or six ropes. He said: "The process went on and on without interruption." In two weeks, 8,000 people were hanged. Similar carnage took place across the country. That countrywide massacre was intended to frighten off anyone who might lean towards opposition to the regime. Prisoners were asked to identify their political stance. Those who answered by supporting the Mujahidin-e Khalq or other anti-government movements such as the communist Tudeh Party were sent to die, while those expressing loyalty to the state were spared. "Trials, including those resulting in death sentences, were generally unfair. The judiciary was not independent. The Special Court for the Clergy and the Revolutionary Courts remained particularly susceptible to pressure from security and intelligence forces to convict defendants and impose harsh sentences." Even before their trials, individuals accused of anti-state convictions are mistreated, tortured, kept in solitary confinement for months on end, and denied access to their families and lawyers. "'Confessions' extracted under torture were used as evidence at trial. Judges often failed to deliver reasoned judgments and the judiciary did not make court judgments publicly available." As in Stalinist Russia, fake "confessions" have been used to impose lengthy prison terms or capital punishment. A recent example of this is the case of Iranian-Swedish doctor Ahmadreza Djalali, whose death sentence was confirmed by Iran's Supreme Court on December 17, 2017. Dr. Djalali was a researcher at Stockholm's Karolinska Institute, where he worked on improving emergency medical responses to armed terrorism and radiological, chemical and biological threats. When in Iran, he had been on the faculty of the Natural Disaster Research Institute, working on HAZMAT emergencies for the country's Ministry of Health and later heading the Disaster Management Section of the ministry of Welfare and Social Justice. A useful, even essential, man, one might have thought. Moving to Sweden, where he obtained his PhD, he settled down with his wife and two children, while holding positions at research centers in Belgium and Italy, and was a well-known name in the disaster medicine field in Europe. He was arrested by agents of the notorious Ministry of Intelligence and Security in April 2016, while participating in scientific workshops in Iran, and sentenced to death on October 21 that same year by the Revolutionary Court in Tehran. Iranian-born Swedish resident Ahmadreza Djalali, a scientist, medical doctor and academic, has been sentenced to death and fined 200,000 euros after being convicted of "corruption on earth" (efsad-e fel-arz) [sic] following a grossly unfair trial before Branch 15 of the Revolutionary Court in Tehran. The court verdict alleged that Ahmadreza Djalali had worked as a spy for Israel in the 2000s. According to one of his lawyers, the court produced no evidence to substantiate the claims against him. The court also failed to provide a copy of the verdict and instead summoned one of the lawyers on 21 October 2017 to read the verdict in court. A source close to Djalali revealed that in 2014 he was approached by agents of the Iranian military intelligence that asked him to collect information on Western chemical, biological, radiological, and nuclear sites, as well as on critical infrastructures and counter-terrorism operational plans. Djalali refused. For three months Djalali was kept in a solitary confinement, interrogated daily with no lawyer present, and tortured to extract false confessions. Later he was placed in an 80 sq. ft. cell with three other prisoners. He was not allowed to speak with a lawyer. In December 2016 he began a hunger strike. It lasted 42 days. In February 2017 he started another hunger strike that lasted 43 days. His health has deteriorated. In July 2017 he was taken to a solitary confinement to prevent his contact with ambassadors from European countries that came to visit him in Evin prison. In a voice recording that was published on YouTube on 22 October, Ahmadreza Djalali is heard saying that, while in solitary confinement, he was twice forced to make "confessions" in front of a video camera by reading out statements pre-written by his interrogators. He says that he was put under intense pressure through psychological torture and threats to execute him and arrest his children to "confess" to being a spy for a "hostile government". In the recording, he says that his academic beliefs have been used to convict him and sentence him to death. He also denies the accusations against him and says they have been fabricated by Ministry of Intelligence interrogators. The case of Dr. Ahmadreza Djalali is the most horrific among recent cases of scientists accused by Iran of "collaboration with a hostile government". In 2011 Omid Kokabee, a doctoral student at the University of Texas – Austin, was arrested during a family visit to Iran and sentenced to 10 years in prison by Judge Salavati after he refused to work for the Atomic Energy Organization of Iran. He was released in 2016 after developing kidney cancer in Evin prison. Princeton doctoral student Xiyue Wang, who went to Iran to study ancient manuscripts, was arrested in August 2016, accused of spying for the United States, and sentenced to 10 years in prison in July 2017. This is a large part of the context in which we must understand the appalling limits placed on any meaningful participation in domestic politics in Iran. One of the greatest threats to political engagement is the regime's deliberate silencing of anyone with potential for leadership, whether for outright opposition to the clerical elite or for reform within it. The best-known opponent of the system is Mir Hossein Mousavi, a former prime minister and presidential contender who led the brutally suppressed Green Movement in 2009, for which he was named in 2010 by Time magazine as the world's most influential leader. Since 2011, Mousavi, now 75 and ailing, along with his wife Zahra Rahnavard, herself a leading opposition figure, have been detained under house arrest in Tehran. Similarly, the eminent reformist cleric Mehdi Karroubi, a former parliamentary speaker, now aged 80, has also remained under house arrest for the past six years. Significantly, although a former student of the Ayatollah Khomeini and a leading figure in the 1979 revolution, Karroubi has supported civil rights for women and ethnic or religious minorities. He could very well have served as an intermediary between the clerical elite and the secular younger generation, but has instead been kept out of public life. Although there are younger potential leaders of the opposition to Iran's regime, they remain in exile. There is, in effect, no space in Iran itself for opposition leaders to emerge without being arrested, imprisoned, and, in all likelihood (given current threats) hanged. Writing in the Wall Street Journal, Mark Dubowitz and Ray Takyeh sum this up well: "The regime is at an impasse. It has no more political actors — no establishment saviors — to offer its restless constituents". As for the mullahs, ayatollahs, mujtahids, hujjat al-Islams, marja'-e taqlids of Iran's bloated and selfish rulers, they brook no criticism from any quarter and intend to keep Iran and its people under their iron grip for ever, even if that means putting to death every dissident voice. The clerics' days, however, may be numbered a lot sooner than that. Writing in Tablet Magazine on January 4, Edward Luttwak, a senior associate at America's Center for Strategic and International Studies, describes Iran as an impoverished country run by a corrupt clerical elite and dominated by over-expenditure from its Islamic Revolutionary Guard Corps and innumerable bonyads ("charitable" foundations), while leaving the population in dire straits. What can be done to accelerate the collapse? Broad economic sanctions are out of the question, because they would allow the rulers to blame the Americans for the hardships inflicted by their own imperial adventures. But there is plenty of room for targeted measures against regime figures and their associates. The State Department list of sanctioned individuals is far from long enough; many more names deserve the honor. Let us hope the US administration imposes those very sanctions, and quickly provides further help, in time to save the people of Iran. Denis MacEoin has an MA in Persian and completed his doctorate in Persian Studies at Cambridge in 1979. He is currently a Distinguished Senior Fellow at the Gatestone Institute. 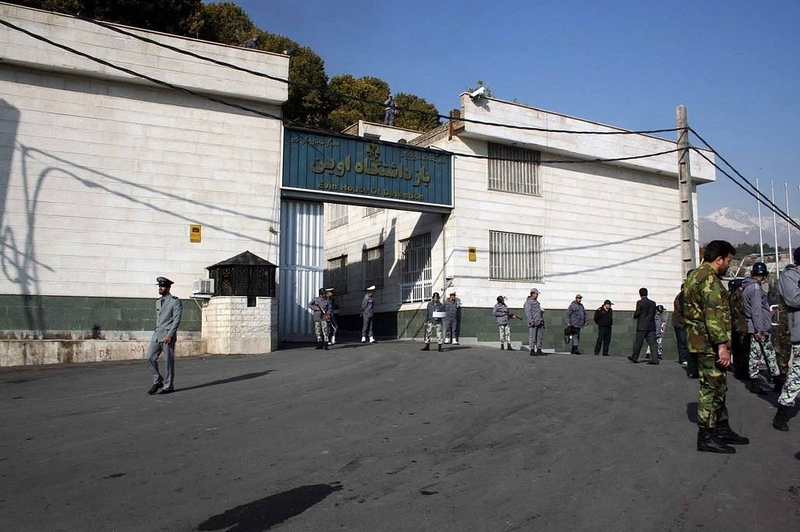 In 2010, Amnesty reported that "Out of the 600 prisoners: 173 are kept in the Evin prison; 354 are serving sentences and 246 are in detention waiting trial. Of those who have received sentences, 94 got more than 10 years. There are 63 women kept in various prisons and 38 journalists". It also commented that "When some of the prisoners are set free on bail, others are detailed and the number keeps its balance". For a detailed and well-sourced account of the 2009 rising and their suppression, see here. I see no problem with the death penalty. It's a necessary and proper punishment for particularly violent or heinous crimes, but the Iranian regime uses it to suppress opposition by applying it against any sort of political dissent, infraction of religious law, or whatever else displeases them. They aren't going to stop using this, or any other form of force, to maintain themselves in power. Only the destruction of the Islamic regime will bring change. It is a shame the Persians model their leadership doctrine upon the failed Soviet system of repression. And copying outmoded and the proven failures of Arab models isn't wisdom. Look at Libya, Syria, Iraq, Yemen and the list could go on. All based on failed systems. So there IS information available on the horrible repression under which the Persian people suffer, on the depredations on their rights and freedoms. Perhaps this information should be given to CNN and to NYTimes-oh, I forgot. It would reflect badly on their Saviour Obama. Besides, this would help Mr Trump, so it would better to continue to ignore it. OK, here is another good idea. Let's ask Hillary for her opinion on this matter. She's always been helpful on international political issues, and would help her to again appear to be relevant, since she last helped us understand the Libyan situation. It is remarkable that the tyrants of Iran are still kept alive as well as their back-up administrations. The extreme evil of Islam can be in focus before the free world because of the Internet.-Even the extreme evil of FB and Twitter allow the Left to exist and support the evil of islam and block those with the truth about nazi-islam. Those who support TRUTH are closing in on the evil doers -THE MONEY CHANGERS - WHO ROB THE COMMON MAN -and they will be crushed. The only problem I see about Iran today is simple: how do we all help the Persian people to regain their country? It is the same problem with Kurds. Persia and Kurdistan now!